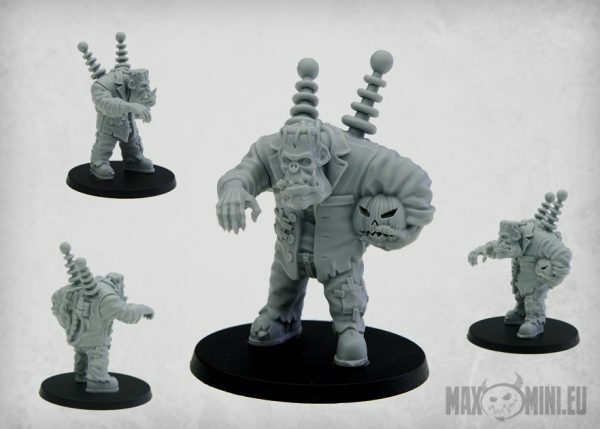 Bit of short notice on this one but it’s news to us – MaxMini have released their own limited run “Frankenstein’s Monster” Ork model. Looks like it’d be ideal for our Frankenork scenario! It’s only available for the next two weeks so you’d best get your skates on if you want a copy. Who doesn’t love a good war rig scenario? Kiblams has written one but needs some help with playtesting it. It uses “NotMobz” rules to create an AI faction (the crew of the tanker) but getting the balance right is a little trickier than you might think! Currently the scenario exists as a Google Doc that anyone can add comments and suggestions to (but not edit). No sign-in required. It’s here and the bit that needs playtesting most is the crew section. What are good values to provide a challenging but fun game? There’s been a Gorkamorka group on Facebook for quite a while but after the old admin retired the community there was left floundering. At least at the time Facebook didn’t have a proper admin succession system in place and so the only option was to create a new community. Skarnir took it upon himself to do just that and roped some of the other usual suspects in to ensure there’d be a full admin team (Dim_Reapa, Kiblams, and Flamekebab). With four people approving member requests it recently surpassed a thousand members. Turns out there’s quite a lot of people interested in this daft little game! In 2014 the Gorkamorka Heritage Project put together a full PDF release of the festive scenario that fattdex created. You can find the PDF release of the scenario here. 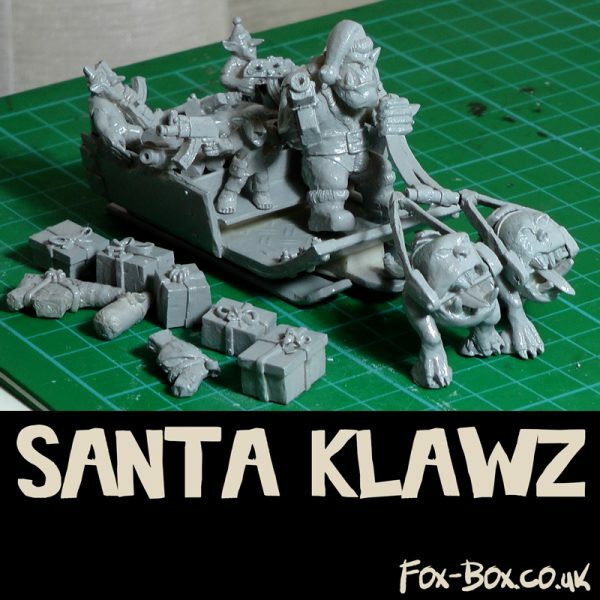 Well the mental mek over at Fox Box has put together a model for the scenario, complete with present tokens! He’s got a Christmas discount too so any of you wanting to have a go at the scenario in the next few weeks can grab him for cheap. Over on YakTribe hreikin has been working on a document full of optional vehicle rules in an attempt to create a bit of diversity. He doesn’t have access to many playtesters though so it’d be great if some of you could take a look and give him a hand with some feedback!